Hos Dorte: Midway reminder for HM&FMC, Interactive Card. Dorte, what a sweet card. Love the pretty papers and colors and the slider part. Fun design. What a wonderful challenge theme, Dorte, enjoyed it. What a fabulous card! Cutest of images and a great design, love the interactive element, it definitely adds to the 'child- appeal'. Awwwww, your little House Mouse is ADORABLE. Love him. I love this cute little slider card. The papers are sweet and so is the balloon. Your birthday card is so fun... with that great big balloon! 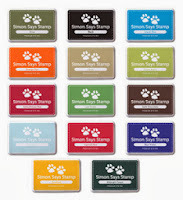 Thank you for participating in the "Children's" Challenge at Sweet Stampin'.